For whatever reason, men have always seemed to dominate the a cappella world. They started out as barbershop style threesomes who were hired to sing endearing songs to birthday recipients and they perform in groups anywhere from three to thirty. Huddles of men, belting out without backup can be found on sidewalks singing in big cities or in large theaters telling stories with their voices to huge audiences. 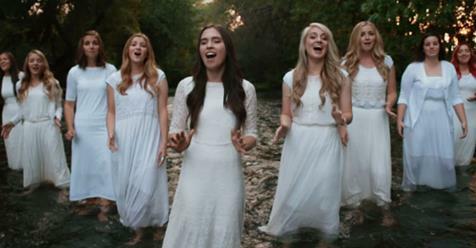 Men dominated the scene, until nine women from a university in Provo, Utah formed an a capella group and paved the way for other females who have the vocals to perform free of background music. 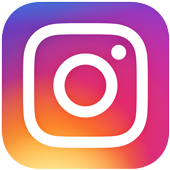 The group is called “Noteworthy,” and was originally founded in 2009, by a student at Brigham Young University. Esther Yoder met with the director of “Vocal Point,” which is the male version of Noteworthy. The two collaborated and soon a female a capella group was established. The group has competed in several competitions and they are known as having the voice of angels. One performance that stands out more than the others, is the groups rendition of Amazing Grace. In the video below, the group of women give it their all as they serenade and chant in forming quite an impressive version of the song. The combination of voices results in a smooth and sultry version of the song and adds a bit of additional background beats. But that’s not all, the visual aspect of the video is just as breathtaking, as the nine women, all dressed in angelic white dresses, gracefully walk and wander through the woods. The camera has a chance with each one of them as they individually receive the spotlight before they all gather together. They daintily saunter through the water, with nature surrounding their silhouettes, before they gather together in a long and extend their vocals to the greatest capacity. Forming a V-shape in the water, the lead singer releases the well-known words while every other group member appears to be using the their voices to make memorable beats and harmony. The beauty of the background alone, is enough to leave the viewer feeling at peace, with the flowing water and small movement of the tree branches as if they are arms reaching toward the delicate singers. At the end of the video the girls light candles, enhancing the scene while slightly slowing the pace. It’s quite amazing how nine very different people can join together and collaborate in a way that creates a beautiful sound. 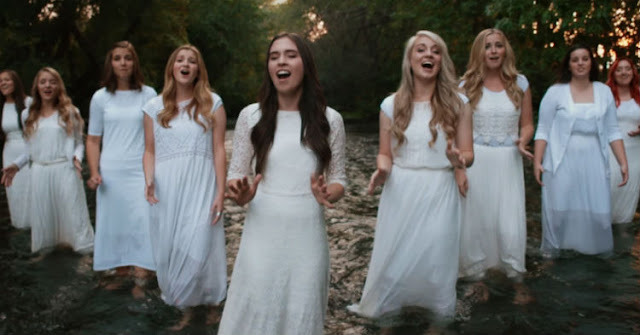 When the video ends, the girls remain in the water, standing at peace as the water continues to flow around them.